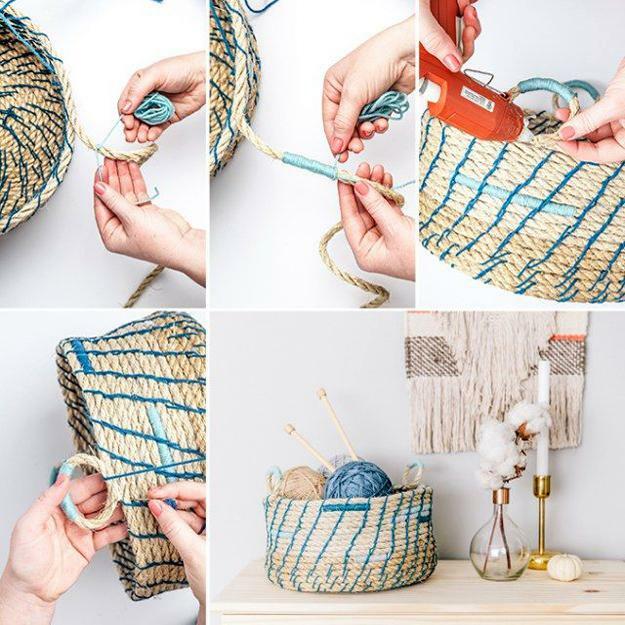 When looking for making baskets with natural rope, decide on how much space you have in your room and how you want to improve your home storage, organization and look. Handmade baskets are stylish and unique. These home accessories come in a variety of dimensions and shapes. 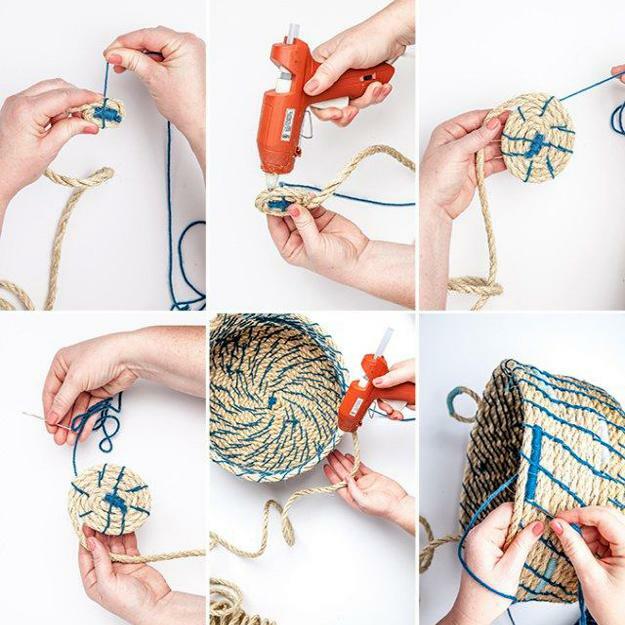 Decor4all shares the idea of making natural rope basket which is attractive and practical. If you need a handmade basket in your home, you can make it. Round, oval, square or rectangular shapes look beautiful. All shapes, including geometric, free-form, and odd shapes are perfect for modern interiors and vintage decor. 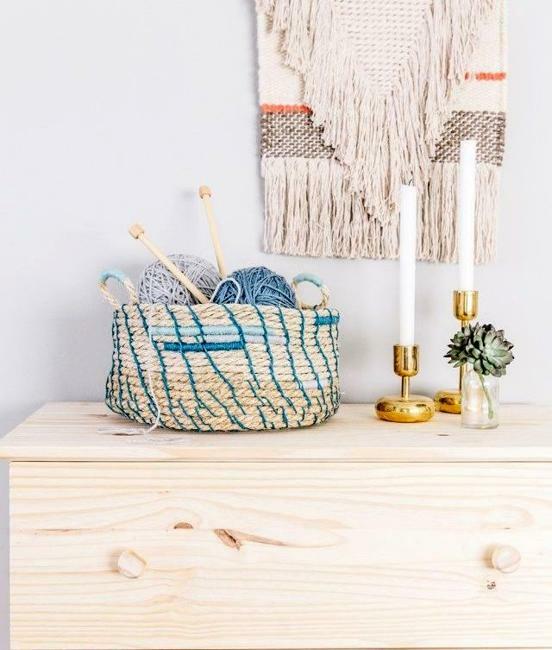 Handmade storage baskets that come in less conventional forms are excellent for traditional and eclectic interior decorating styles. These home accessories are versatile and suitable for children bedrooms and kitchens, home offices and modern living room designs that can use a twist. A handmade wicker or rope basket can be the focal piece in any room because the unique home accessory sure grabs attention. The size and shape of the rope basket are the most important design considerations in making these home accessories. Selecting the right size and form for storage baskets turn the designs into functional and attractive items that perfectly match your home storage and organization. Square and rectangular baskets are safe choices for space saving room decor because of their space efficient shapes, but choosing the traditional or unusual baskets shapes, such as round, oval or odd-shaped home accessories, can change the entire interior decorating by giving your room decor an edgier, surprising, and modern look. Beautiful wicker baskets or natural rope baskets in modern interiors not only decorate the living spaces but also help you organize the chaos and improve room decor. 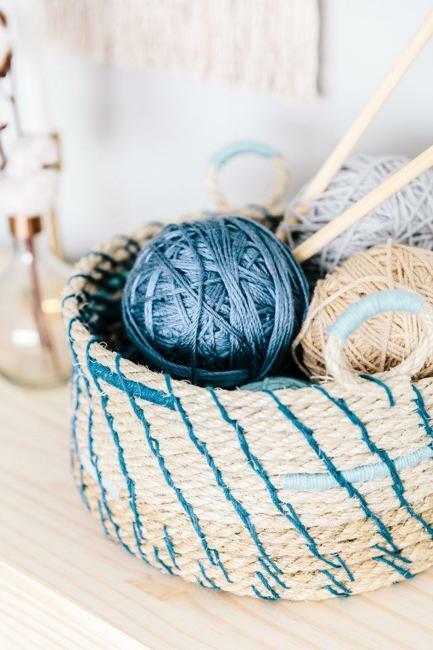 Handmade baskets are excellent home accessories to keep things neat and always on hand. Wicker baskets and rope baskets are eco-friendly products for modern interior decorating. The handmade home accessories are ideal projects for those who like crafts, knitting, and weaving. 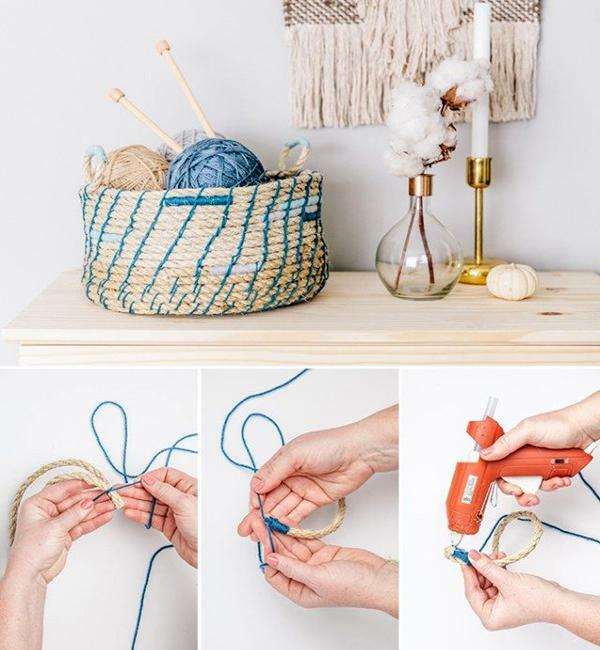 It is very convenient to store skeins of threads and craft supplies in baskets while creating well organized, stylish and beautiful room decor. Here is a simple visual tutorial to make a natural rope basket. You will need a natural rope (hemp, jute, sisal), yarn for knitting (any color), scissors, glue gun and a needle.